Your privacy is of the upmost importance to Advartis Tenerife Property. We value the trust you place in us. At times, we will update this page to inform you of any changes that are taking place, so you always are kept aware of how we are handling your personal data, and how cookies are used on our website. 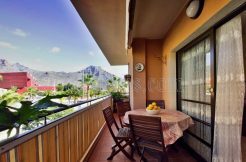 Advartis Tenerife Property offers online property-related services on our website, and with other online platforms, such as those on social media and the websites of our partners. The following information is in regards to the use of each of these platforms. Advartis Tenerife Property may amend the Privacy and Cookies Policy at any time, as deemed necessary. Please regularly visit this page, so you are kept informed of the latest changes that are made. If at any time you disagree with the content found in the Privacy and Cookies Policy, you should discontinue using our services. With the information you provide to us on our website, we may provide you with individualized opportunities on the Advartis Tenerife Property website, this includes opportunities listed on social media sites. These offers might based on offers you Enquire about through the Advartis Tenerife Property website, or third-party offers or products we think you might find interesting. As you use our services, we might invite you to answer a questionnaire, or to provide us with a review of your experience that you had at Advartis Tenerife Property. How does Advartis Tenerife Property use social media? We use social media in order to promote our properties, and to improve, promote, and facilitate the services we offer. For example, we use social media plugins as part of the Advartis Tenerife Property website. Each time you click on these social media buttons, the information is shared with the social media network and presented on your social media profile, along with others who are in your social network. Along with these buttons, Advartis Tenerife Property also uses social media accounts and apps on several of our social media websites. The websites may allow you to share your information with us at Advartis Tenerife Property. We may also provide you with the ability to sign into Advartis Tenerife Property through the use of your social media account. This social media provider will provide us with more information and how the data is processed and used. How long do Advartis Tenerife Property cookies remain active? How can I find Advartis Tenerife Property cookies? Does Advartis Tenerife Property use third-party commercial and analytics cookies? Yes, Advartis Tenerife Property uses third party cookies from reputable, trusted online marketing and advertising companies. Advartis Tenerife Property may also use third party analytical cookies in order to enable the services that these third parties provide. All third party cookies are from providers which are committed to high standards of responsible data management and business practices. Who has access to the data collected by Advartis Tenerife Property cookies? No one other than Advartis Tenerife Property has access to Advartis Tenerife Property cookies. Cookies which have been placed on the site by third parties are only accessible by these parties.